Junkfood Science: Part Two: What does the evidence reveal? Can diets work? Part Two: What does the evidence reveal? Can diets work? There have been multiple reviews of the evidence examining the effectiveness of obesity treatments, dating back to the 1970s. What all of these have consistently demonstrated is that no weight loss intervention has been shown to be effective in producing lasting weight changes. More importantly, no clinical study has ever shown weight loss actually improves life expectancy. In fact, some suggest weight loss increases the risks for premature death. Reviews from the U.S. Preventive Services Task Force, National Institutes of Health, and Federal Trade Commission have already been discussed at JFS. In part two, we’ll look at three other comprehensive reviews of the evidence. Professors and clinicians David Garner, Ph.D., and Susan Wooley, Ph.D., reviewed 500 studies on dieting and weight loss to evaluate long-term treatment efficacy, the biology of weight regulation, and health outcomes. Their 1991 paper, “Confronting the Failure of Behavior and Dietary Treatments for Obesity,” remains one of the most important documents examining the failures of current obesity treatments. What made this work valuable was not just its thoroughness, but the fortitude of its authors to speak so candidly about this evidence. The first thing they pointed out was that behavioral and dietary treatments for obesity continue to be advocated based on weak and often conflicting epidemiology data on health risks and despite overwhelming evidence from controlled clinical studies that weight loss programs are ineffective in producing lasting weight change. “Our failure to fully confront these issues [as healthcare professionals] has meant that, despite new knowledge, there has been no fundamental change in our practices,” they wrote. Virtually any type of weight loss program is able to demonstrate moderate success at promoting “at least some short-term weight loss,” they found, but “there is virtually no evidence that clinically significant weight loss can be maintained over the long-term by the vast majority of people. Over and over again the initial encouraging findings are eroded with time.” Yet, these modest short-term results are used to recommend more aggressive interventions, they noted, under the belief that greater losses can be achieved, erroneously presuming that maintenance of weight loss is a realistic expectation and/or that there are no harmful consequences of weight loss or the inevitable regain. Clinical trials dating back to 1970 have continued to show that the larger and faster the weight loss, the faster the regain, and the higher the follow-up weight. “It is only the rate of weight regain, not the fact of weight regain, that appears open to debate,” Garner and Wooley concluded. They hoped that this evidence might provide some solace to all of those who’ve “failed” at dieting and believe it was their own fault due to a personal lack of will power. Still, beliefs persist that obesity is due to irresponsible eating behaviors and that dietary management can be effective. There is also tremendous individual variability in the degree of resistance to weight loss with caloric restriction, just as there is for weight gain with caloric increases. Yet how many fat people are accused of ‘lying’ about their food intakes when they fail to lose the ‘calculated’ amount of weight? Perhaps one of the cruelist beliefs is that if fat people ate normally and “healthy” and just watched what they ate, they wouldn’t be fat. The evidence, however, consistently demonstrates that “successful weight loss and maintenance is not accomplished by ‘normalizing’ eating patterns’ [among the 'obese'] as has been implied in many treatment programs,” they said. That’s because the vast majority of fat people are already eating just like everyone else. Sadly, from young ages fat people are told they are overeating, though, by those who believe they must be overeating since they’re fat. Any significant caloric restriction will result in initial weight loss for virtually all bodies. However, studies show remarkable similarity and the data is impressive, Garner and Wooley explained, indicating homeostatic metabolic adjustments to return body weights to their genetically-determined setpoint range as normal for each individual, and that this body weight defense occurs in 'obese' and 'nonobese'. Even short-term caloric restrictions result in rather dramatic metabolic adjustments (as much as a four-fold increase in metabolic efficiency) to preserve the body’s normal state. This phenomenon appears to explain why restrained eaters eating less actually weigh more than those with unrestrained eating styles. JFS readers have seen this time and again among populations, even over time among groups of women who started out the same weight. Many 'obese' individuals have spent much of their lives restricting their food intake with amazing resolve and discipline...and they are still fat. With these biological forces at work, not surprisingly, weight loss studies see weight regain over time, even while calories continue to be restricted, and that to keep weight off or continue losing weight, increasingly severe caloric restrictions are required, incompatible with optimal nutritional health or wellbeing. [The ability for a naturally lean person to lose and gain 10-15 pounds comparatively easily, does not mean a naturally obese person can step and repeat that ten times to lose 100.] In fact, examining the rare 'obese' individuals who have been able to sustain weight loss over years, many times “their eating patterns are much more like those of individuals who would earn the diagnosis of anorexia nervosa than like those with truly ‘normal’ eating patterns,” Garner and Wooley found. Many are undereating and exercising obsessively and have made weight the focus of their lives. It is often argued that obesity should be managed as a chronic disease with long-term calorie restrictions to control weight, said Garner and Wooley. But the “risks associated with subnormal intake must come under even greater scrutiny if such restriction is offered not as a short-term but as a long-term or even permanent solution,” they said. Evidence that it is more dangerous to be thin than fat is either ignored or minimized in analyses that shape public policy toward weight loss. It is often suggested that risks may be permanently modified by weight loss without attention to the probable health risks associated with weight loss itself or with repeated diet failures. There are few studies in the medical literature that indicate that mortality risk is actually reduced by weight loss and there are some that suggest that weight loss increases the risk of death.. and there is much evidence to suggest that maintenance of high but stable weight is safer than weight fluctuation, perhaps safer even than weight reduction.... [This] raises questions about the necessity and even the desirability of weight loss, especially in view of the likelihood of regain. It is difficult to find any scientific justification for the continued use of dietary treatments of obesity....Considering what is currently known about obesity and its treatment, we believe it remarkable that there have been so few calls for reexamination of the fundamental premises that form basic health care policy regarding weight loss....[A]t this time we can enhance the possibilities of meaningful scientific progress in other areas by reallocating resources currently invested in developing, applying, and studying dietary treatment that have little rational hope of success. 2). loses are not maintained. Every single one of the long-term diet trials they identified showed a weight regain trajectory, with one- to two-thirds of the participants’ weights already above baseline at 4-5 years follow-up. In sum, across these studies, there is no strong evidence for the efficacy of diets in leading to long-term weight loss. In two of the studies, there was not a significant difference between the amount of weight loss maintained by participants assigned to the diet conditions and those assigned to the control conditions. In the three studies that did find significant differences, the differences were quite small. The amount of weight loss maintained in the diet conditions of these studies averaged 1.1 kg (2.4 lb). It is hard to call these obesity treatments effective when participants maintain such a small weight loss. Clearly, these participants remain obese. They, of course, note that “health benefits from even small weight losses are widely touted as reasons to diet.” However, health benefits from short-term studies of weight loss “do not address the question of what happens when the weight is regained.” They found no consistent evidence that diets resulted in meaningful improvements in health. In the three short-term studies showing health benefits, it could not be concluded that the effects were from dieting, or from exercise, sodium/alcohol reduction, (antihypertensive) medication use, or other interventions. Moreover, the trials they reviewed did not find sustained health benefits when weight was regained. Of special concern to these authors was the popularity of ignoring the potential harm from dieting itself, as well as the weight regain and weight cycling seen among dieters. Many of those risks of harm from dieting and weight loss interventions have been reviewed here at JFS, including the National Institutes of Health expert review of nearly 50 years of evidence on voluntary weight loss, and which remains the most pivotal conference on the subject. There is evidence from large scale observational studies that weight cycling is linked to increased all-cause mortality and to increased mortality from cardiovascular disease. In addition, weight cycling is associated with increased risk for myocardial infarction, stroke, and diabetes, increased high density lipoprotein cholesterol, increased systolic and diastolic blood pressure, and even suppressed immune function. In sum, the potential benefits of dieting on long-term weight outcomes are minimal, the potential benefits of dieting on long-term health outcomes are not clearly or consistently demonstrated, and the potential harms of weight cycling, although not definitively demonstrated, are a clear source of concern. The benefits of dieting are simply too small and the potential harms of dieting are too large for it to be recommended as a safe and effective treatment for obesity. 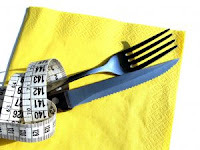 It appears that dieters who manage to sustain a weight loss are the rare exception rather than the rule. Dieters who gain back more weight than they lost may very well be the norm, rather than an unlucky minority. If Medicare is to fund an obesity treatment, it must lead to sustained improvements in weight and health for the majority of individuals. It seems clear to us that dieting does not. Another heavily-referenced review of the evidence on weight loss was written independently by Marion J. Franz, MS, RD, and published in a 2001 issue of Clinical Diabetes. Focusing our attention on the diet and weight loss parts of her review, compared to the analysis written for HealthPartners Health Behavior Group and Kaiser Permamente’s Care Management Institute [in Part One], finds the interpretations of the evidence in this paper remarkably different. In her opening paragraph she came right out and said: “We do not yet know how to maintain weight loss over the long-term.” There is no evidence that any diet results in weight loss that’s maintained over the long-term. “More than 54 million Americans are currently on a diet,” she wrote, “yet the prevalence of overweight and obesity continues to increase. If dieting worked, obesity should be decreasing or at least not increasing.” Many dieters succeed in taking weight off, but very few manage to keep it off over the long-term. Americans continue to seek a “magic bullet” that will help them lose weight, “unfortunately, health professionals also contribute to this phenomenon by constantly warning the public and their patients about the perils of being overweight,” she wrote. Franz, like many obesity and eating disorder researchers, gives no credence to a national registry made up of the tiniest fraction of the dieting population who’ve self-reported a 30-pound weight loss in a year. A study of 784 participants, she reported, discovered that in trying to maintain their weight loss, they were obsessively exercising 1 1/2 hours a day and eating severely calorie restrictive diets of about 1,400 kcal/day. “In other words, their life is devoted to weight loss.” They generally exhibit anorectic behaviors, not healthy, normal eating. As reviewed here, the first diet book based on the calorie theory was published in 1918 by a LA doctor, Lulu Hunt Peters. It recommended calorie reduction and increased exercise. Since then, about every possible way to lose weight has been proposed. There are some 7,500 diet books on the shelves today, each with it’s own claims about how to lose weight and each claiming their plan works. “We are reminded that popularity is not credibility,” she wrote. All diets work ... just long enough for those before-and-after photos. 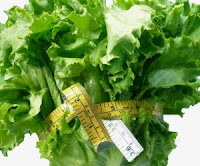 Dieting and devoted efforts simply to change our outer appearance don’t define our health or our value as human beings. Tragically, so many have come to believe these do. Returning to that original meta-analysis in the opening of this series, the evidence answered the authors’ question. What types of weight loss interventions offer ‘successful’ long-term outcomes?